There are few electronics that accumulate the level of human filth the way that keyboards do. Dust, dander, pet hair, and skin oils all find their way onto – and into – keyboards and keycaps after extended use. Of course, that says nothing of inadvertently backhanding your favorite drink onto your gaming plank. A mechanical keyboard comprised of a quality PCB and switches will last years, but negligent maintenance can yield them not such a joy to type or game on. A crunchy or sticky switch is the bane of any keyboard aficionado. It needn’t be this way, however. The best medicine, of course, is preventative maintenance, but what if you’re past that? Maybe you’re effectively typing on Dorito crumbs at this point. Fret not, as even the best of us must inevitably clean our keyboards. In this quick guide, we’ll outline a few basics on how to clean a mechanical keyboard. 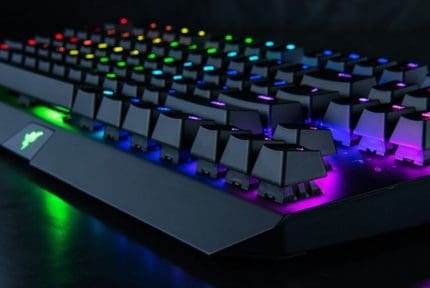 So, whether your board is way past due for a service, or you want to learn how to protect your investment after picking up one of our best gaming keyboards, read on. Mechanical keyboards are advantageous in so far as cleaning is concerned. That’s because of the raised keycaps and wider spaces between keys. Generally, this makes removing the most common detritus straightforward. Spills are another matter, though; more on that in a bit. Whether the keyboard just needs a light cleaning, or you’re preparing to deal with some next level absurdity, here’s a few tools to help. Keycap puller: most keyboards include this, but you can find them at Amazon and Newegg. Compressed air or vacuum: for removing debris without removing the keycaps, or prior to. Rubbing alcohol: used to remove skin oils and grime if you’re not wanting to remove keycaps and for gently scrubbing between keys. Dish soap: used for soaking keycaps if you intend to deep clean. Cyber Clean Compound (optional): alternatively, you can use cotton swabs. This is for cleaning between the switches on the switch plate. This is the best approach for lightly used or slightly dirty keyboards and serves as the preventive cleaning you should be doing on regular basis to mitigate grime accumulation. The word regular is relative here; frequency is dependent on things like how many people use the keyboard, or whether you eat and drink around the keyboard. Also, the level of dust present where your PC resides impacts the frequency of cleaning. Routine vacuuming and dusting, as well as adding an air purifier to the room will help reduce the number of pollutants floating in the air. Which, ultimately, will reduce the amount of dust landing on your keyboard. Perhaps it goes without saying, but we’ll say it anyway: be sure to wash your hands with soap and water before using your mouse and keyboard. This goes a long way in keeping both clean and defers the build-up of oil and skin residue. Unplug your keyboard, assuming it’s wired. Otherwise, grab it and take it somewhere you have space to work. Turn it upside down and give it a shake. Using compressed air (via a can or air compressor), blast air in between the keys, moving in a consistent direction towards one end of the keyboard, so as not to just move debris around. You can also use a vacuum cleaner here, as some keyboard manufacturers don’t recommend the use of compressed air. If using a vacuum, gently press down on the keycaps with the vacuum tube until they reach their actuation point. This can be done with or without a brush attachment. Using a microfiber cloth with a bit of isopropyl alcohol, gently scrub all the keycaps and outer surfaces of the keyboard. This will help remove skin oil and residue, in addition to disinfecting. 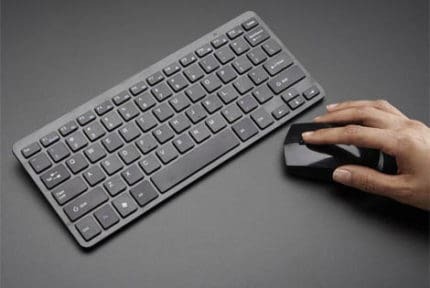 Assuming your keyboard needs more attention, it’s time to remove the keycaps. Removing the keycaps is a fairly painless process, although the bigger keycaps (spacebar, for instance) can be a bit stubborn. Before starting this process, you’ll need to take a picture of your keyboard or have an image of your specific model ready for reference. This will help you in reassembling the keyboard later. Unplug your keyboard. If it’s wireless, turn it off and remove any batteries (if applicable). Using a keycap puller, remove all keycaps. 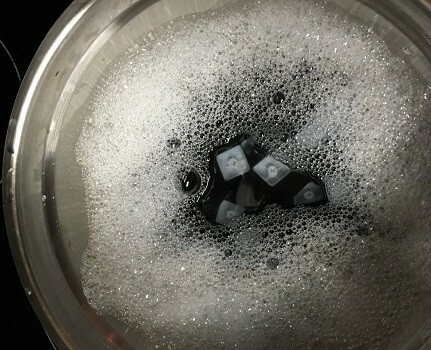 Place the keycaps in a large bowl with warm water and dish soap and leave them to soak. The duration is largely up to you, although you’ll likely want to give it at least a couple of hours. Afterward, lay them out to dry, preferably overnight. While the keycaps are soaking, use cotton swabs with a bit of alcohol, or the optional Cyber Clean putty to remove any stubborn dust, dirt, or debris in between the key switches. Afterward, give the switch plate another once-over with the vacuum. Turn the keyboard face down to prevent dust accumulation while waiting on the keycaps to dry. Spills are a special disaster—a sticky, destructive, short circuit inducing disaster. Water isn’t overly risky, so long as the keyboard isn’t soaked. Other drinks, like beer or sugary, acidic beverages can be the end, though. There’s no guarantee you can bring your keyboard back from a spill, but there a few things you can do in the event of one. First, don’t flip or tilt the keyboard. Keeping the liquid out of the switches is crucial. 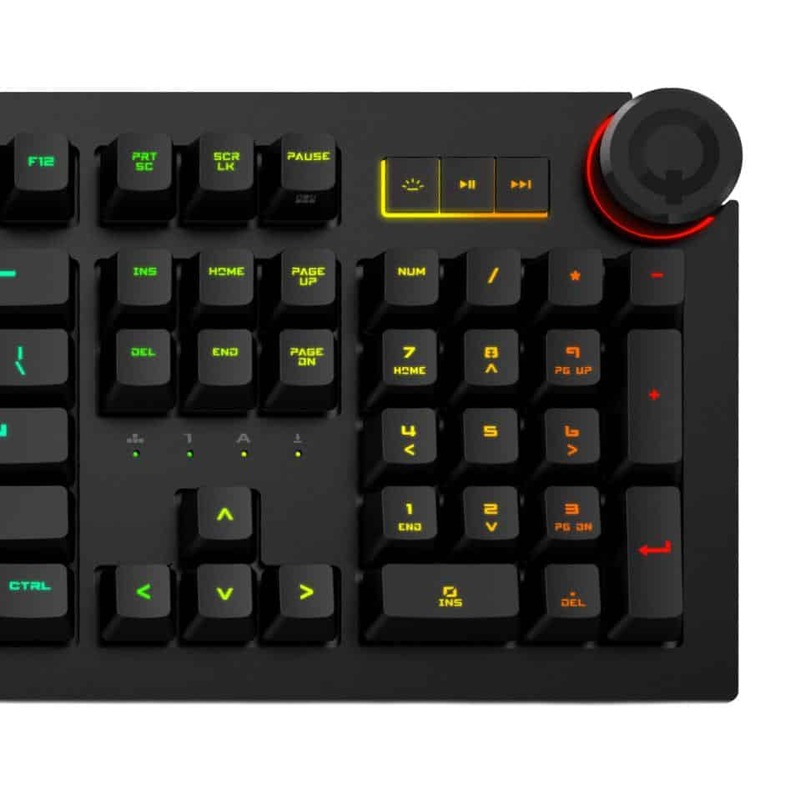 Remove the keycaps and immediately assess the severity and quantity of the spill. If the spill appears to be contained or localized to one area, or the switches appear to be unsoiled, you can clean the affected areas with alcohol and cotton swabs, or just follow the above deep cleaning guide. Once the keyboard is clean and dry, reconnect it to your PC and test it. Hopefully, this guide helped you in getting your keyboard into pristine shape, and less like a toilet seat. Keeping your keyboard clean will ensure a long life, and with it, a better user experience. After all, there’s nothing quite like gaming or typing on a clean, responsive mechanical keyboard. Don’t forget to show some love to your gaming mouse, either! Drop us a comment or tweet at us if you have questions or suggestions.